Japanese Hand Craft owner blog: What is Tokoname? Tokoname is located in the center of Japan and is one of the six oldest porcelain districts in Japan. The history goes back to the 11th century. They made Buddhist urns for burials. Many Buddhist Tokoname wares are found all over Japan. In the 14th and 15th century they made tea cups and other tea ceremony items as well as Ikebana flower vases. At that time, tea ceremony and “Ikebana” was born and became famous in the nobility and Samurai. Since the 18th century they have been producing normal household tableware. In the 20th century Tokoname was the largest production area for tile, pottery pipe and lavatory bowls in Japan. 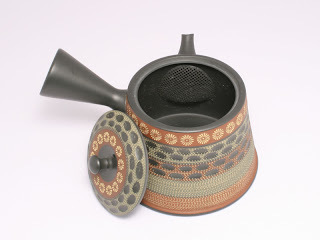 Now Tokoname has the most tea pot production in Japan. They have been developing their process with modern conveniences. The craftsmanship is very high quality. You can feel it. Their tea pots are very light weight. Their ceramic mesh is fine. It is very useful and good for all kinds of tea. They have very unique features. Tokoname is famous for red clay ware with no glaze. The clay contains a lot of iron, which changes the color to red in the firing process. Some ware has a dark gray or black surface. But, the inside is red. Tea ceremony and flower arrangement people love their red/gray ware with no glaze. It is close to natural and deeply artistic. 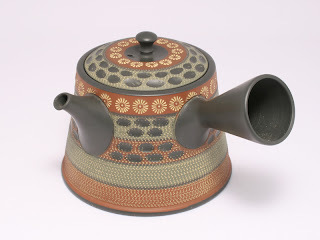 That’s the reason they support Tokoname ware and the government has recognized 47 master craftsmen in the area.